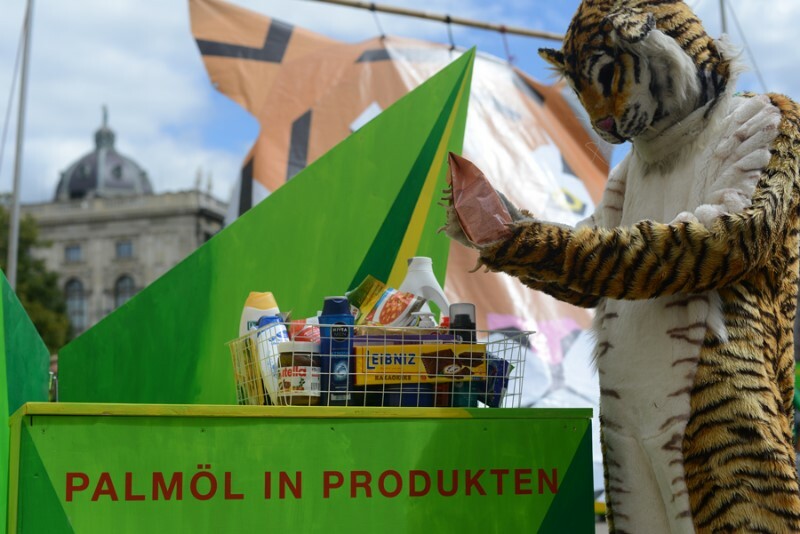 Our purchasing behavior affects the survival of the last approx. 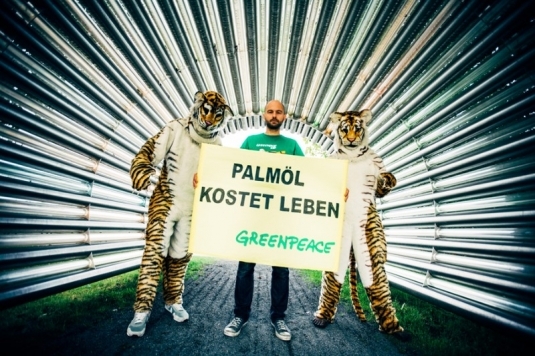 400 Sumatra tigers. 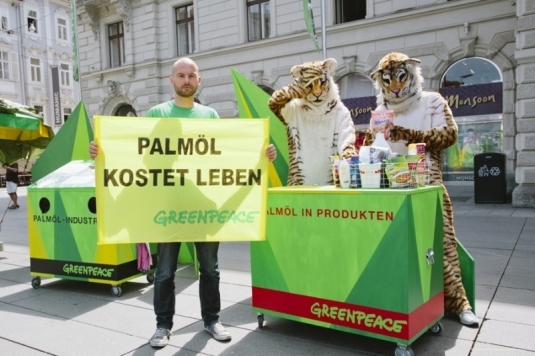 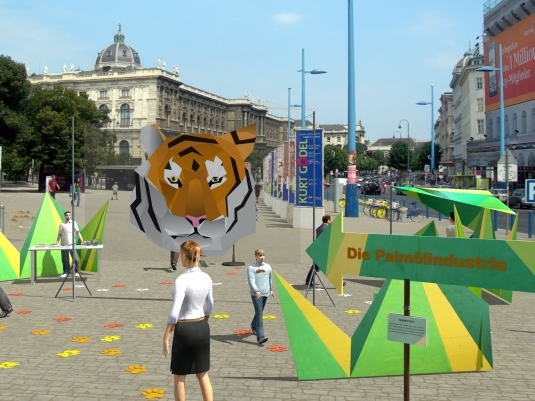 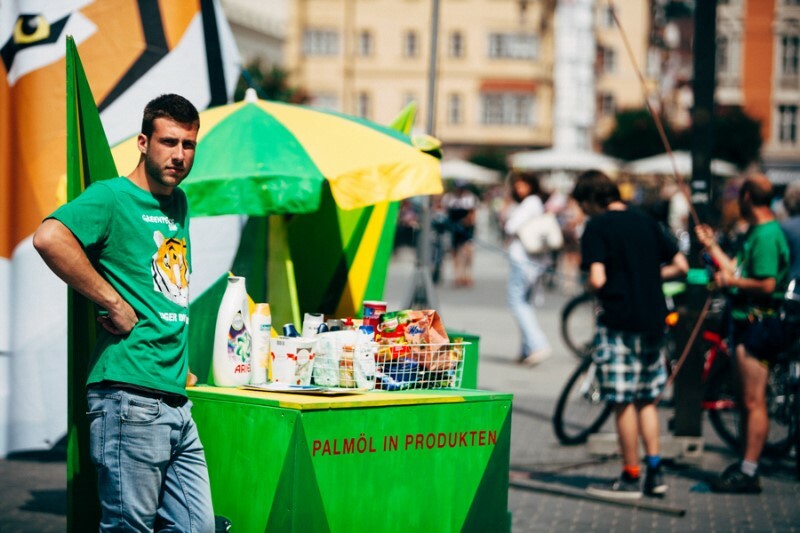 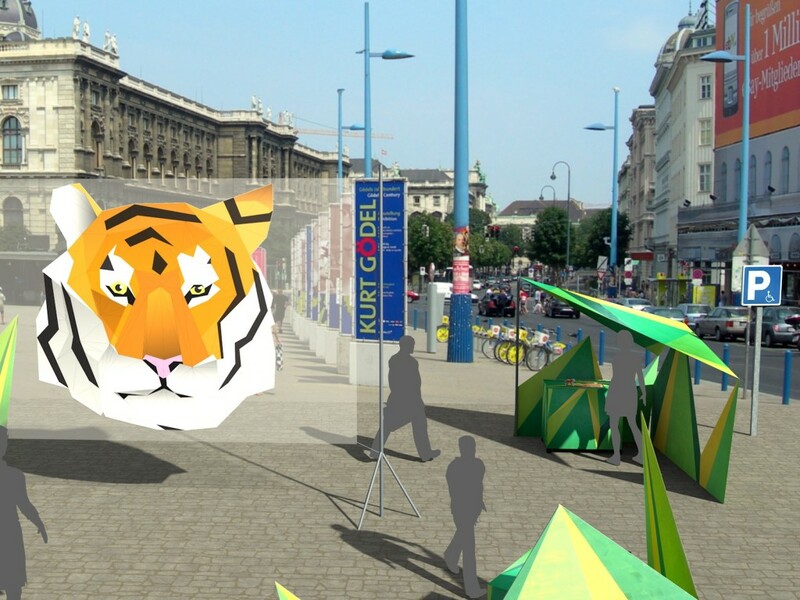 By means of a multimedia exhibition tour, Greenpeace CEE and DER MEDIENBAYER informed the Austrian public about the relationship between palm oil, the Indonesian rainforest and the extinction of the Sumatran tiger. 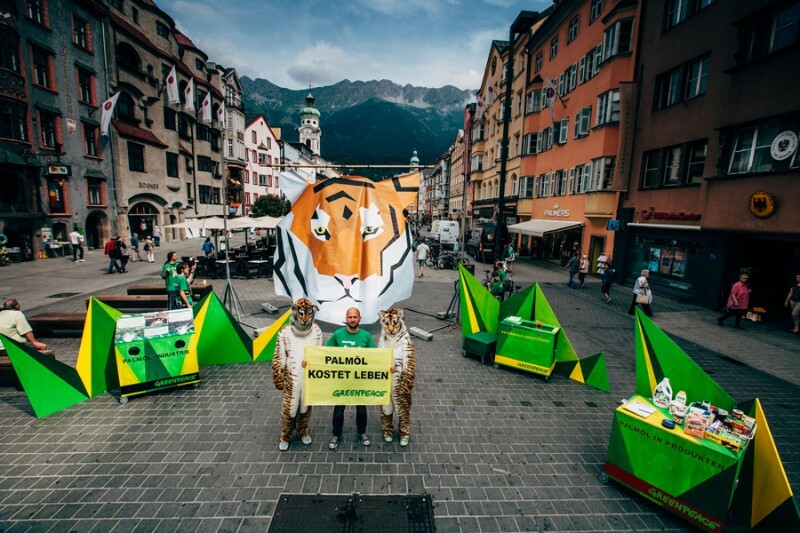 The eye‐catcher was an oversized tiger head surrounded by an artistically crafted rainforest backdrop. 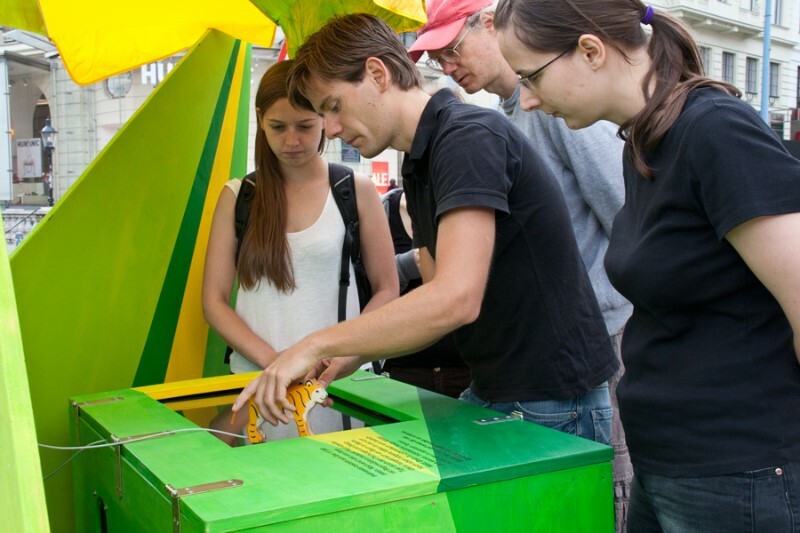 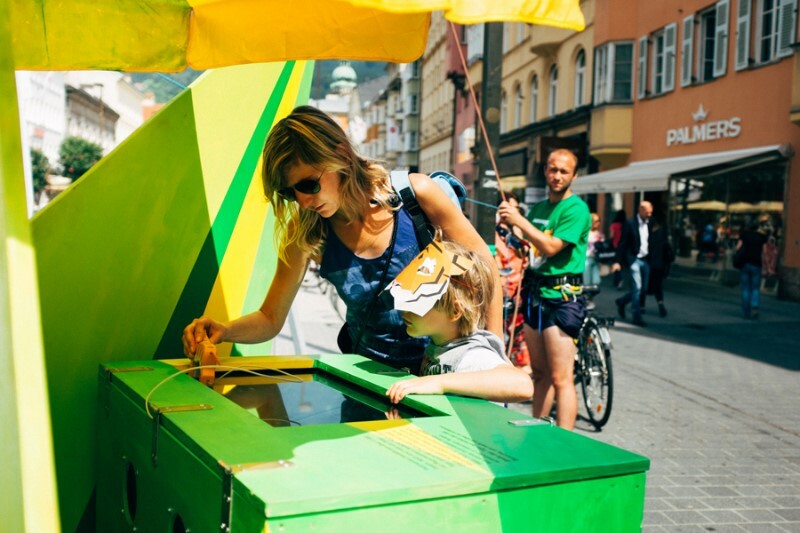 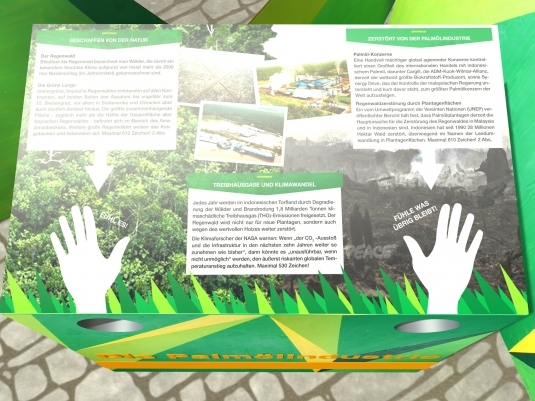 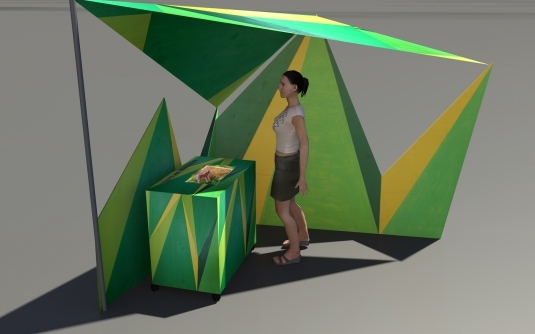 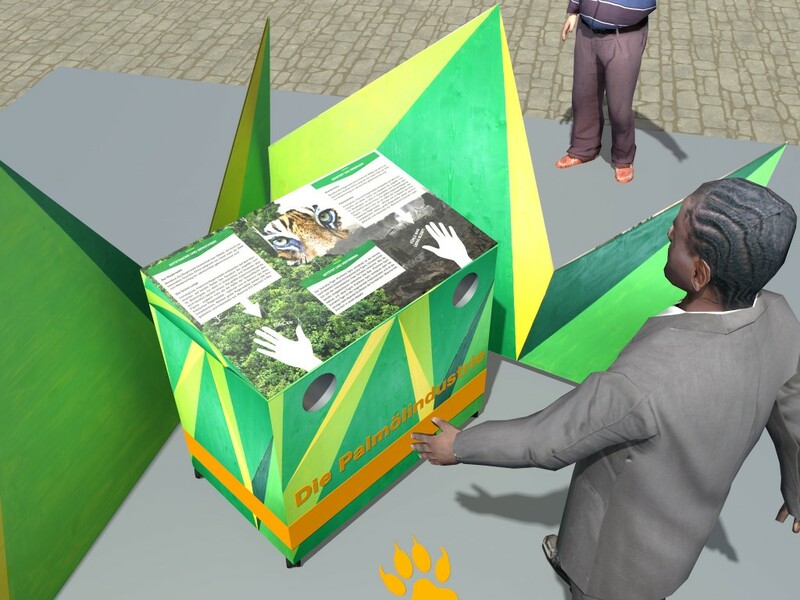 At the four interactive experience stations, pedestrians were given insights into the palm oil issue. 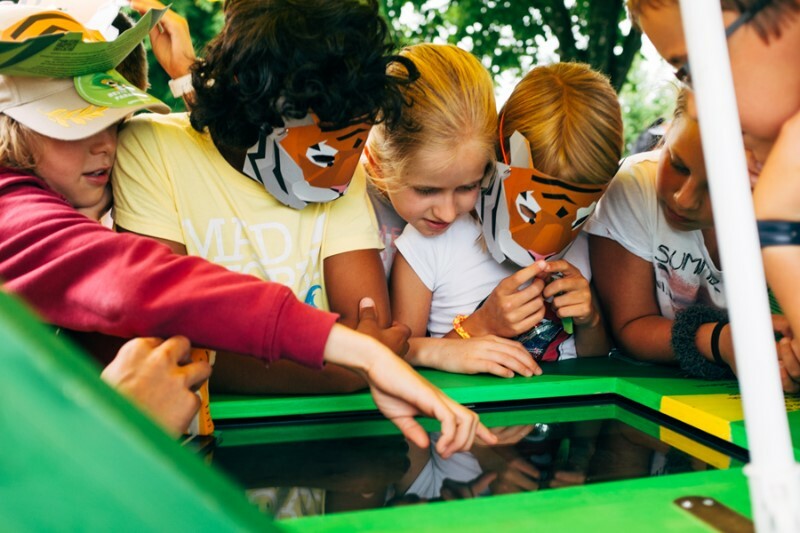 Design highlight of the exhibition was an interactive exhibit with object interaction: On a touchscreen, a tiger figure could be moved into different areas of a rainforest graph — the exhibit responded and visualized the various threats to the habitat of the tiger. 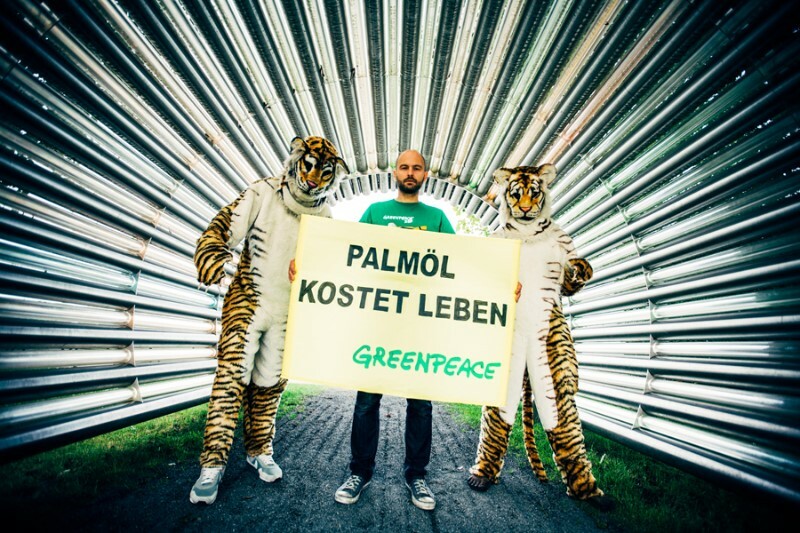 Sign the petition to protect the Sumatra tiger!